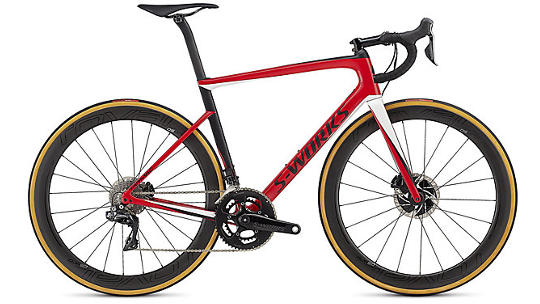 Specialized have gone ALL out on the brand-new S-Works Tarmac Disc. There is simply no technology or designed spared in the attempt to create the greatest most holistic road bike currently available on the road bike market. To start off with the Tarmac features Shimano Dura-Ace 9170 hydraulic disc brakes that for only a very mere increase in weight provides unmatched reliability, durability and aerodynamic speed in every condition and road surface. 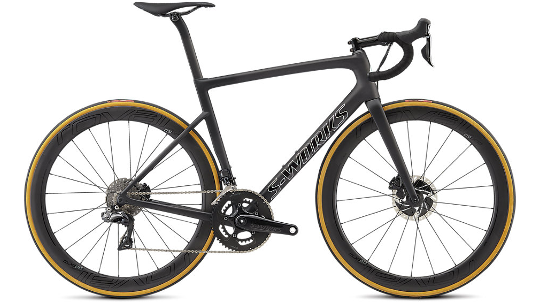 The Tarmac features FACT 12r carbon fibre, Specialized's latest and most up to date technology that provides truly futuristic responsiveness and stiffness that you can feel immediately when the power is turned on. 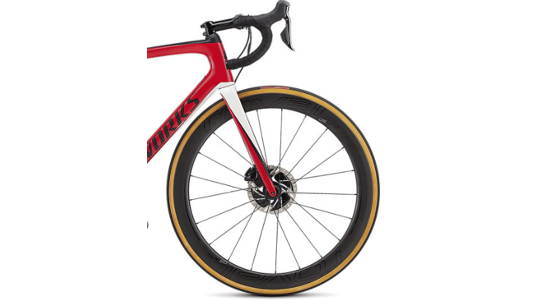 Aerodynamics are taken to the next level to provide the type of speed required by both of Specialized's UCI world tour teams to finish top of the podium with re-designed fork shape, the FACT 12 carbon fibre D-Shaped seat-post and dropped seat stays. At the wheel site, you will find Specialized's first-class Roval CLX 50 disc wheelset with 26mm turbo-cotton tyres but more importantly the ability to fit up to a 30mm tyre meaning you have all the adaptability you need right at your fingertips. To finish it all off the Tarmac is finished with Shimano's top grade of groupset, Dura-Ace 9150 Di2 and the lightest, most accurate power meter available on the market, weighing in at only 400grams (172.5mm) with only 1.5% (+/-) of difference in readings. Simply I N C R E D I B L E.
It took Specialized 6 months of hard work in research and design to have re-designed the Tarmac to improve aerodynamics. The results? 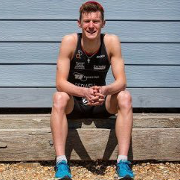 Well, an incredible 45 seconds saved over a 40km time-trial in comparison to other competitors bikes in the same category. A FACT 12r carbon fibre D-Shaped seat-post, dropped seat-stays and a re-designed fork provides the type of speed needed by both Specialized's world tour teams, Bora-Hansgrohe and Team Quick-Step Floors Pro Tour riders to finish at the top of the podium. This is Specialized's brand new grade of carbon fibre. Shedding almost 200 grams from the previous Fact 11r carbon fibre, FACT 12 provides an incredible level of stiffness and responsiveness that can only truly be appreciated when you ride the bike. For the first time, Specialized have built their own power meter designed for the highest level of competition road bike. 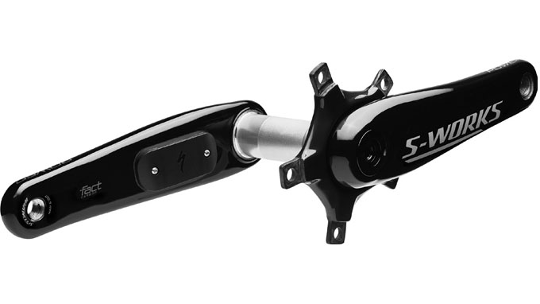 Weighing in at an incredible 400grams (172.5mm) the S-Work power meter is the lightest and most accurate dual-sided power meter available on the market with only 1.5% (+/-) of difference in readings. 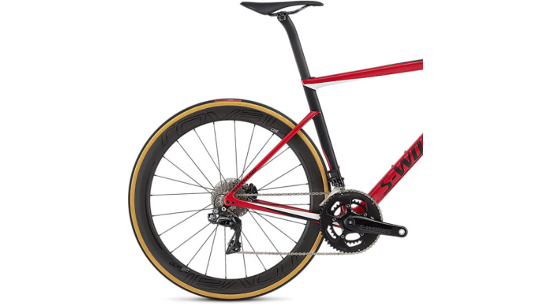 Specialized have taken their geometry design to a whole new level with the new Tarmac. 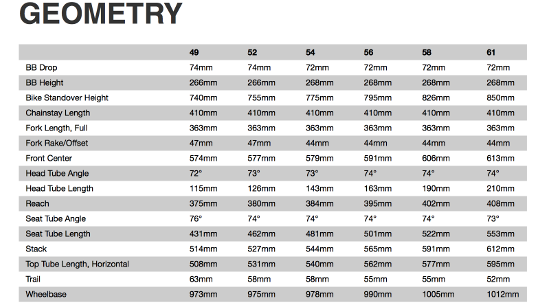 This technology ensures that with every frame size, you get the same incredible fit. The result of this ensures true responsiveness whether you're climbing the toughest hill climb race around, descending on technical switchbacks or making the most of the speed available on the flats. At the wheel design, Specialized have carried on with their very best. With the ability to fit up to a 30mm tyre, that equates to a 28mm turbo-cotton tyre, Roval CLX 50 disc-wheels with 26mm turbo-cotton tyres that top off incredible comfort and speed.